Sidney Brandon Cole was born on 1st June 1893. He was prevalent in an era of roller speed skating long before there were any British teams or, in fact, World and European Championships, but his inclusion as a "legend" should not be overlooked because of that. As a skater it is fair to say that we know very little of him. We do know that he joined the Alexandra Palace Roller Skating Club in his teens and on 2nd February 1912, aged just 18, he became the Southern Counties Champion over One Mile at Earls Court in London. Two weeks later, on 15th February, he bettered his performance by taking on all comers from across the country to win the One Mile Championship of Great Britain, again at Earls Court, and in so doing made him one of the youngest ever holders of a national title. Although he would only ever have the one title to his credit, the following year he placed second to his Alexandra Palace team mate, G.S.Clarkson, in the Five Mile Championship. 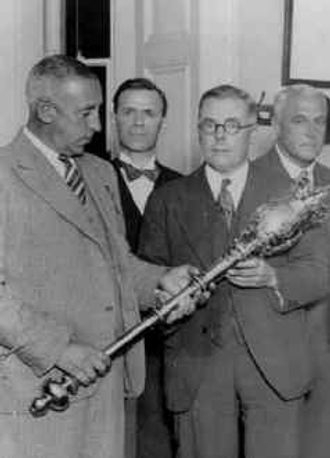 In those days the One and the Five Mile Championships were the only national titles that could be won (the 1/2 Mile was not introduced until 1924). Another year on from that, Cole did not feature in the medals, but other world events were overshadowing any recognition of sporting achievements. In the summer of 1914 many skaters got the call to arms to defend their country and Cole was no exception. Cole came from a wealthy family (his father, E.G.Cole, had set up the Potteries at Tottenham in White Hart Lane) and during the first world war found himself in the RAF. Unlike the millions of casualties of the conflict, fortune would favour Cole. He returned home after the war and continued with the family business, but still finding time for his love of roller skating. It is not clear when Cole, himself, retired from racing, but it is widely recognised that he was partly responsible for bringing roller skating to the Alexandra Palace rink, which held it's first British Championship event on 5th February 1926, with the running of the British Relay Championship for the Burgoyne Shield - won, incidentally by the Alexandra Palace team of Osbaldston, Sealing, Ross and Brake. It was the first of many wins for the club. 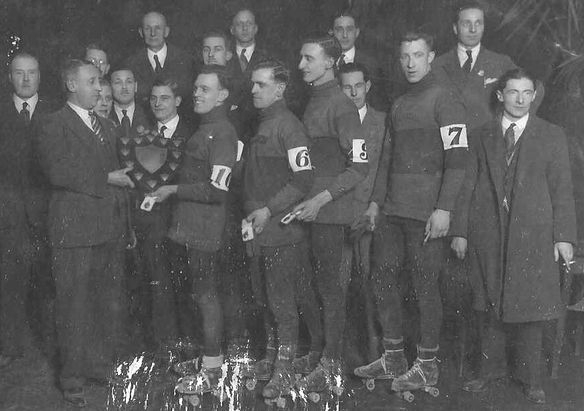 Whilst Cole did not feature in the event itself, his association with the sport and the club led him to run the Alexandra Palace rink for 18 years. Cole juggled his passion for roller skating with his unreserved dedication to the community. In 1920 he was elected as one of the ten members of the Urban District Council for Wood Green. In 1925 he was appointed Chairman of the Works Committee, a post he held until 1937. In this capacity he played an important part in the development of the borough, in particular with the sale of what is now known as The Broadway in the High Road. The proceeds from this sale were used to acquire the New River playing fields as well as a football ground for Wood Green Town Football Club in White Hart Lane, which became known as (and still is) Cole's Playing Fields. 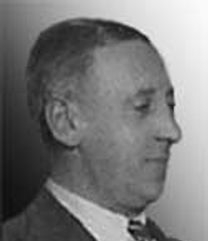 In 1927 Cole was elected Chairman of the Urban District Council and had the distinction of being the first Mayor of the Borough after the granting of its Charter of Incorporation in 1933. At the same time he was made Alderman. Further, in 1935 he also became a Justice of the Peace. He retired from the Council in 1937 but was co-opted as a member during the Second World War. It was during this conflict that Cole lost his only son, Brandon, who was killed in January 1944. Shortly afterwards Cole and his wife, Janet, separated and Cole made a new (personal) life for himself with his new partner, Dorothy Lamb, who at that time was Secretary of the Alexandra Palace Roller Skating Club. In 1947 Cole again stood for election to the Council and in 1949 was re-elected as Alderman. His term of office expired in 1955. Such was his prominence within the district that in November 1954 he was made a Freeman of the Borough. Also between 1949 and 1953 he was elected as Vice Chairman of the Trustees to the Alexandra Palace Roller Skating Club. In 1954 he was appointed Chairman, his influence still very much to the fore. During the late 1950's, his business, Cole Potteries, had declined somewhat. Not least of all because of new tax laws bought in that meant his pottery business was no longer making money. Shortly afterwards, on Christmas Day 1957, Sid Cole's life too came to an end. He was 64. "He was a dominant personality in Wood Green local government in the '30's. He was a powerful influential man who had a lot to do with the planning of the district". So there you have it. A man who had not only made an impression on British skating as a competitor, but also a man who made an impression on those around him as a prominent figure in society, without ever losing touch with his passion for eight wheels.